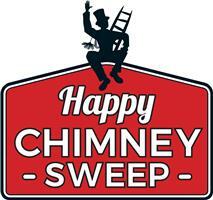 Happy Chimney Sweep - Chimney Sweep, Roofer based in Forest Row, East Sussex. Based in East Sussex, providing a friendly and professional chimney sweeping service. Traveling throughout the south-east to service chimneys at residential and business addresses. Certificates are issued with each sweep for insurance purposes. We are fully insured for all our services, so you don't have to worry. Just call or send us an email and we can provide free advice or a quote.